The near future. A UFO appears on Earth's orbit. Ignoring all contact attempts, it showers the planet with priceless artifacts. Choose: perfect health, ten million dollars, or seven years in prison as per the new amendment. But is it really selfless help the mysterious aliens are offering? What awaits a human who holds a precious crystal in his hand? Where will he wake up tomorrow? What if the first thing he sees when he opens his eyes will be the blinking line of text: "Loading location: virtual training ground Kubinka-Digital. Welcome, cadet! You're now space fighter pilot! Log In to track D. Rus on eReaderIQ. 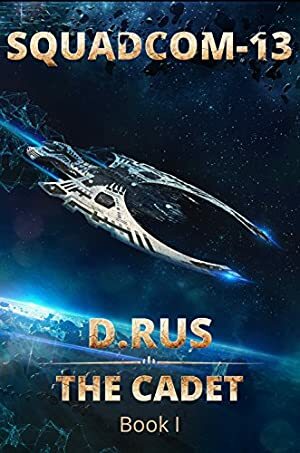 to be notified each time the price drops on any book by D. Rus. to stop tracking D. Rus. We started tracking this book on October 27, 2016. The price of this book has changed 7 times in the past 908 days. The current price of this book is $4.99 last checked 5 hours ago. The highest price to date was $4.99 last reached on March 21, 2019. We last verified the price of this book about 5 hours ago. At that time, the price was $4.99. This price is subject to change. The price displayed on the Amazon.com website at the time of purchase is the price you will pay for this book. Please confirm the price before making any purchases.